15.10 - 15.25: Jaroslaw Kotowski (TEN-T Executive Agency, European Commission), Opportunities and challenges for the development of Motorways of the Sea projects in South-East Europe. 15.25 - 15.40: Szymon Oscislowski (Marco Polo Programme Manager, European Commission, DG MOVE), Marco Polo grants on short-sea shipping routes. 15.40 - 15.55: Patrick Anvroin (Director, Conference of Peripheral Maritime Regions, CPMR), Recommendations for Integrating the EU Islands in the Motorways of the Sea. 15.55 - 16.10: Christian Pleijel (European Small Islands Federation (ESIN), Improvement of public transport services in small and insular islands; prospects and obstacles. 16.45 - 17.00: Wolfgang Hehn (DG Enterprise and Industry, European Commission), European Commission initiatives on the greening of the shipbuilding industry and the conversion of shipyards. 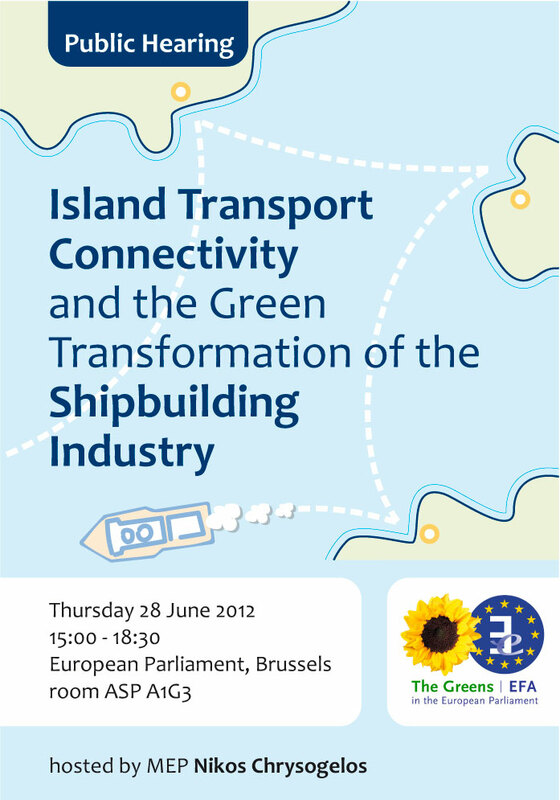 17.00 - 17.15: Torsten Klimke (European Commission, DG Move, Maritime Transport Policy), Looking at the demand side: The need for greener ships. 17.15 - 17.30: Reinhard Lüken (Secretary General, SEA Europe, Ships and Maritime Equipment Association), Improvement of technological fields for new products and new services for the shipbuilding sector. Simultaneous interpretation: English, French, Spanish, Greek.